The right to play is one of the basic rights of children outlined by the United Nations Convention on the Rights of the child. Medical professionals, educators, caregivers, and leaders around the world agree that play is an integral part of every child's life for a variety of reasons. Dr. Rebecca Dixon, Pediatric Hospitalist at Riley Children's Health, explains that "Play can be widely defined. It can be creativity: art and crafts, music, etc. It can be sports and card games." Essentially, play is all about entertainment. There are two basic types of play, independent or group, and both are equally important and useful for different reasons. There's a common misconception that kids need toys or equipment to play. But, kids tend to have the most fun when they are using their own imagination as their main tool for play. 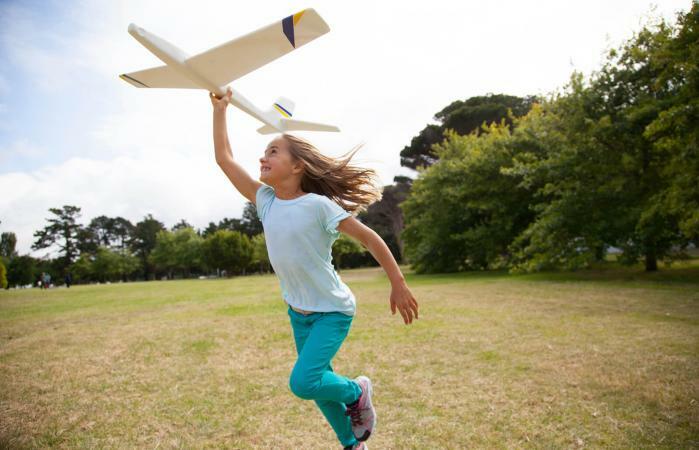 "Kids have more ingenuity than we give them credit for," says Dixon who shares that her four kids definitely enjoy making up their own games and activities more than playing with toys. "There's a reason there's a maximum on screen time, but no maximum on play," explains Dr. Dixon. Watching TV is not play. If you limit unhealthy behaviors, like too much screen time, play will come naturally to all kids. However, there should also be time for kids to relax and have downtime if they've already had an active day. Keep in mind play shouldn't be a punishment. Kids should be excited they get to play. Play helps kids develop physically, mentally, socially, and emotionally. People often link physical development with play from sports or other physical activities. Sports do get kids active and that's good for their overall physical health. When kids enjoy this physical activity, they begin to see exercise as less of a chore and more of a fun activity. Beyond sports, kids can show huge physical developments with other types of play. Take LEGOs, for instance. Playing with LEGOs helps kids work on their fine motor skills in building a structure brick by brick. That fine motor skill development later helps kids with other tasks such as handwriting. Play and child development are linked and play time is a great chance for kids to show what they already know in a pressure-free way. For example, kids get their math reinforced when they play chef by talking about the measurements, temperatures, and other numbers associated with baking. Play helps children learn to assert and stand-up for themselves. On the playground is a great place to observe this behavior and make changes. If these lessons are learned on the playground, then 10 years later on social media when the same child witnesses someone being mistreated they'll have the knowledge and maturity of how to assert themselves. When kids play independently, they have to figure out what to do and how to do it. They address any barriers to creating fun on their own and learn how to take care of a problem, like being bored, by finding solutions. In group play, problem solving involves finding ways to share and cooperate that don't hurt anyone else. 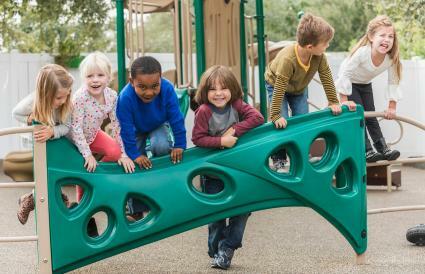 Play that kids do in groups teaches children so many social skills that are useful throughout life. Kids learn how to meet someone new, read social cues, and what behaviors are acceptable to others. A prescription for play is part of wellness training. Just like doctors emphasize sleep and a well-balanced diet, play is part of wellness. It's part of a healthy child and it's a recommendation for every child. Limit screen time to an hour a day for kids ages 2 to 5 and no more than two hours per day for kids age 6 and older as per the American Academy of Pediatrics recommendation. Fill in all your child's extra time with play, no matter their age. Play in a way that excludes things that light up, make noise, or you can plug in. "Consider linking up with other parents to have children play together," suggests Dr. Dixon. Give kids the time and your permission to play. Offer suggestions for play when kids are struggling to come up with something on their own. Take time out each day to play with your child even if it's only for a few minutes. Be a role model and take time to engage regularly in fun activities by yourself or with your friends. Play takes on many forms and can look different to each child or family. Start by listing off all the things your child loves to do and creating engaging play spaces throughout your house.